iSkysoft iMedia Video Converter Deluxe for Mac is the ultimate all-in-one DVD converter and video conversion software. It’s a must-have tool for your digital entertainment library. In addition to the power of iMedia Converter the software package includes iTube Studio and DVD Copy Pro worth over $117, iMedia Converter Deluxe offers many other great features like Media browser. Take the hassle out of ripping and converting DVD movies or homemade DVDs to pretty much any format of your choice or directly for mobile devices. You can now easily do it with a few simple clicks. Straightforward presets allow you to easily rip DVDs and convert videos for your iPad, iPod, iPhone(iPhone 4 included), and Apple TV. A hassle-free way to enjoy your videos, movies and TV shows anytime and anywhere. An easy, fun and inexpensive way to greatly expand your music library by extracting audio from almost any format videos or concert DVDs to MP3, AAC, etc. Take these cool music or sound with you on iDevices! 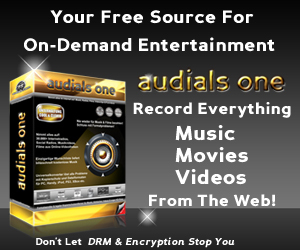 Copy and preserve your favorite video clips and photos to DVD. Or burn movies stored on your Mac and you can play it anywhere – in your kids’ room or on the road in your car. Copy encrypted DVDs or DVD files (VIDEO_TS, ISO, dvdmedia) to DVD discs for playback on portable DVD players. Or duplicate homemade DVDs for family members who also want a record of those special moments in life. Easily download online videos from a wide range of popular video-sharing websites like YouTube, Yahoo, Vimeo, Break, Metacafe, Facebook, etc. for playback on Mac or any popular video players you like. Embedded Media Browser take the convenience of adding any media files on your Mac to a further step, by allowing users to easily browse and add video/DVD/Audio from media library panel. Automatically detect your Mac’s multi-core to take advantage of your Mac’s spare power. Batch conversion enables you to convert several videos in one go, making quick work of even the longest conversions. This all-in-one program delivers ultimate solution to video conversion, DVD copying, and streaming video downloading. The beauty is that you can achieve all of these with a few simple clicks.